Hello Reader! Michael Keaton is in another superhero movie and he is not playing batman but Birdman. Check the teaser and news below. Birdman isn’t really a superhero film but does have the elements. From the trailer it looks like we will see a ton of actors and its mixed with a bunch of stuff like action, drama, weird, comedy and looks like it could be a fun watch. The trailer doesn’t give anything away which I like because now I’m intrigued. Peep the teaser and let us know what you think. 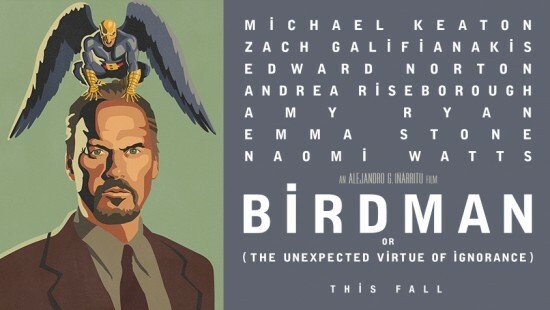 Birdman stars – Michael Keaton, Emma Stone, Edward Norton, Naomi Watts, Amy Ryan, Zach Galifianakis and is due to show us what the film is really about on big screen on October 17, 2014. I don’t think Keaton quotes TLC song Titles in this one.